Our Funarena! : IPL Scandal: New Law To Check Match Fixing? After showing no urgency in the emergency meet yesterday in Chennai the BCCI seemed to have passed the buck over to the affected IPL franchise Rajasthan Royals (RR). Accordingly today the RR has distanced itself from the implicated players and is likely to file an FIR with the police against them. However, more promisingly, the BCCI has sent its officials to Delhi to meet Delhi Police in a supposed effort to get more information on the IPL Spot Fixing case. 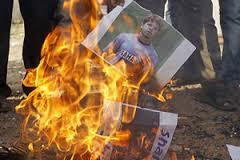 Yesterday, the BCCI President N Srinivasan had denied having enough information from the police. Meanwhile, Delhi police has arrested a former Ranji cricketer in the domestic circuit and two more bookies. At the moment the CCTV footage seems to hold the key for producing conclusive evidence in the courts. The Government of India, apparently shaken by this huge scam, is mulling to formulate a separate law to deal with match and spot fixing cases sternly. 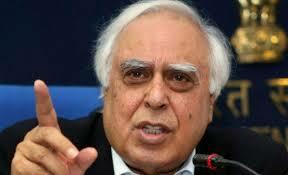 Indian Law Minister Kapil Sibal met the Sports Minister last night and discussed about the issue. Kapil Sibal said that the Indian Penal Code (IPC) does not recognize match or spot fixing as offenses and can deal with them only under Section 420 of the IPC that refers to cheating or frauds. Since this cannot deal with match fixing effectively a separate law is the urgent need of the hour and a new Bill to check match fixing is likely to be presented in the next session of the Indian Parliament, the Law Minister added. Sibal also said that such scams harm public faith in sports and any kind of fixing must be prevented in all disciplines of sports. The Sports Ministry also confirmed that efforts were still on to bring the BCCI under the Right To Information (RTI) Act. Police custody for the three cheats ends tomorrow and there are reports that the Kingpin of fixing, Sreesanth, is set to move for bail. There are also reports that all three cheats have confessed to their crimes and with conclusive evidence forthcoming Delhi Police could appeal for extended custody and denial of bail. Everything must be ensured so that the complete IPL scandal comes to public light and the criminals severely punished. This is a decisive moment to cleanse cricket once for all.